Federal Hall National Memorial - Super Inky! One of my hobbies is earning Junior Ranger badges and patches at National Park Service sites. Even though I've been living in NYC for a few years now, I still hadn't gone to Federal Hall National Memorial! 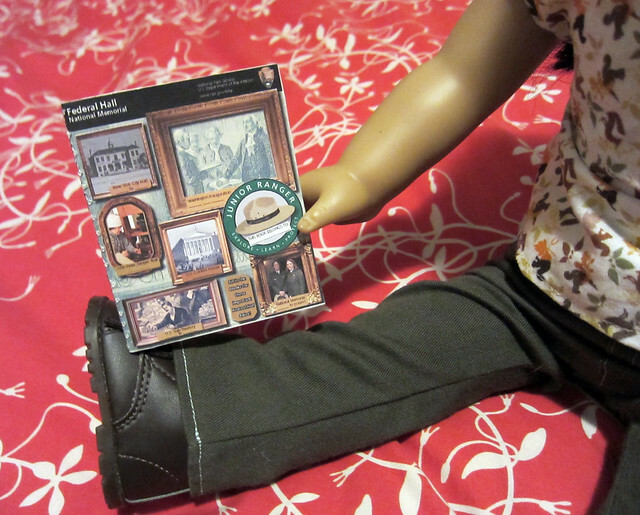 Finally, I got around to picking up a Junior Ranger booklet and went straight to Federal Hall. Federal Hall National Memorial is on Wall Street in Lower Manhattan, just a few steps away from the New York Stock Exchange. There were tons of tourists taking photos of the Stock Exchange, but hardly anyone ventured into the memorial. I introduced myself to the ranger in charge and sat down to work on my workbook. Federal Hall has had many different roles in its history, but I think it is probably most famous for being the place where President George Washington was inaugurated on April 30, 1789. I can't imagine how it would feel to take on so much responsibility! The hall has several exhibits, including some cool architectural models of how the building has changed over time. It's a really important place in US history; I was excited to see it! Outside the building, there is a large statue of George Washington. It's so big, actually, that it's hard to get a good photo in front of it! When I finished the workbook, I got sworn in as a junior ranger. I swore to be a good steward of the National Parks. They are our nation's treasures. 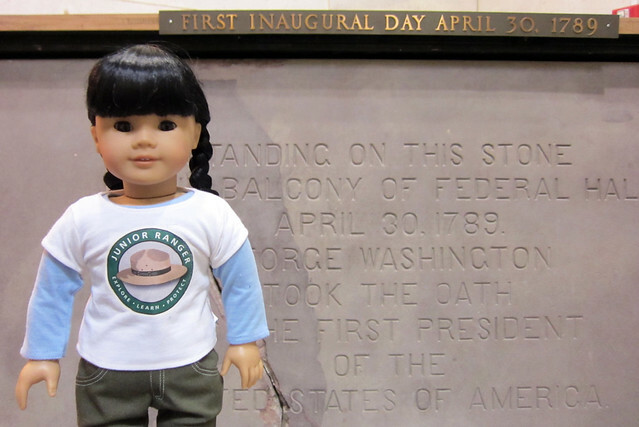 I'm not sure how many Junior Ranger programs I've done so far, but I was excited to add Federal Hall to the list! Have you ever visited a place important to your nation's history? I think it's so cool that you're working on your Junior Ranger badges! My sisters and I love reading about all your adventures at the different parks. You'll make an awesome park ranger someday, if you decide on that for a career. There are a lot of sites of local interest near our home that we've visited, but there are some broader significance. One is Cape Spear, which is the easternmost point in North America. Not really historical importance, but definitely geographical importance! The other is Signal Hill, which was the site of the first transatlantic telegraph transmission. That laid the foundation for a lot of advances in communication. We've visited both those sites several times, and they're pretty cool! We've also been to the Colony of Avalon archaeological site in what is now Ferryland, which was one of the very earliest permanent European settlements in North America. On the other side of the island, there's another site that was a Viking settlement; we've never been there, but we'd like to someday, it's just a long drive. Thank you for sharing your time at Federal Hall with us! It's neat that you try to earn Junior Ranger badges at every park you go to. It sounds like a fun hobby! I love getting Junior Ranger Badges, too. That is so cool Inky! Just being in Lawrence is being somewhere important in our nation's history. Between the fighting of slave state versus free state, the Civil War began here began nearly a decade before the rest of the country. The anniversary of Quantril's Raid and the burning of Lawrence was not too long ago. Plus we're right to Lecompton, the territorial capitol of Kansas during that time. And it's Kansas's 150th birthday this year, so there has been a lot of historical stuff going on. Kaya, the history of Newfoundland sounds so interesting! Do you know if Canada has a program like Junior Rangers for its national parks? I've never been to Canada, but I've heard your national parks are gorgeous. Sabine, have you ever been to a national park of UNESCO World Heritage site in France? Zabcia, my Junior Ranger tee was made with Avery fabric transfers and a plain white tee from AG Place. You can get plain tees at the Create-a-Tee booth, just ask for one without a design. Homemade tees work just as well. Rory- Happy Birthday to Kansas! I think every state is important to our nation's history. Have you ever done a Junior Ranger program? I don't think we have anything exactly like Junior Rangers. Some of the national parks have what's called Junior Naturalists, but what it involves seems to vary from park to park. Some have an activity booklet, but others have a program (I think a couple of hours long) for children to attend. I'm not totally sure, because the only national park I've been to in Canada is Terra Nova. We've been to several provincial parks, though. I love visiting them because I'm very interested in environmental science. Canada has some very beautiful parks, both national and provincial! I think your family would have a really great time if you took a vacation here. If you're ever in our area, you should totally visit us! Oh, Inky, that's really cool! I'd like to visit a National Park and become a Junior Ranger. Looks like you had a lovely time, and I enjoy seeing the pictures. When I lived in Boston, I visited lots of museums and historical sites with school and with my family for fun. I haven't done anything like that since I've been in California, though. Wow Inky! I've learned so much with your post! I've never been to NYC, but I'd like to go someday. 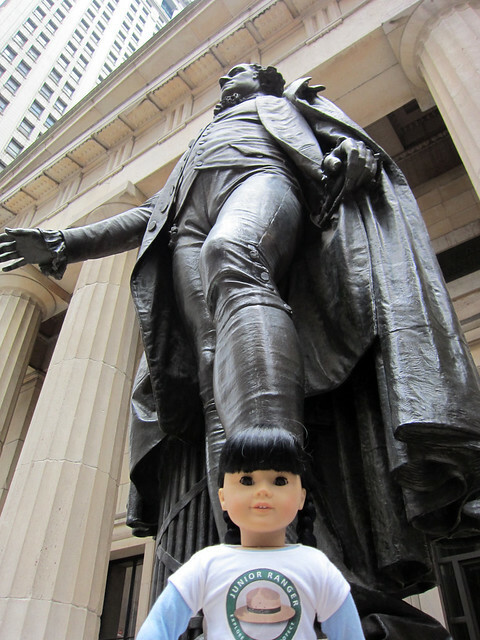 I'm going to add the Federal Hall to my 'must' visit list! In my country, I've only been to Lima's Catacombs. They are a large underground ossuary that holds the remains of lots of people from Vi-royal times. It's creepy to some, but I find it historically interesting. 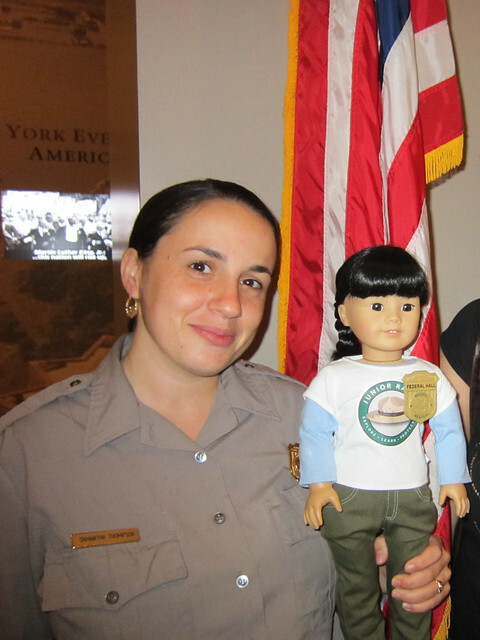 Your Junior Ranger badges are so cool, congrats on them! Also, I love your shirt! So cool, Inky!! You should be a park ranger someday, you would be so awesome at it. I'd love to, but there are only a few places here, and all but Brown v. Board of Education are far away :( I still need to convince mom and dad to take me to B v BOE, we haven't even seen the state capitol building yet, and we've been here over a year and only live a half hour from Topeka. Cool! I love your badge! 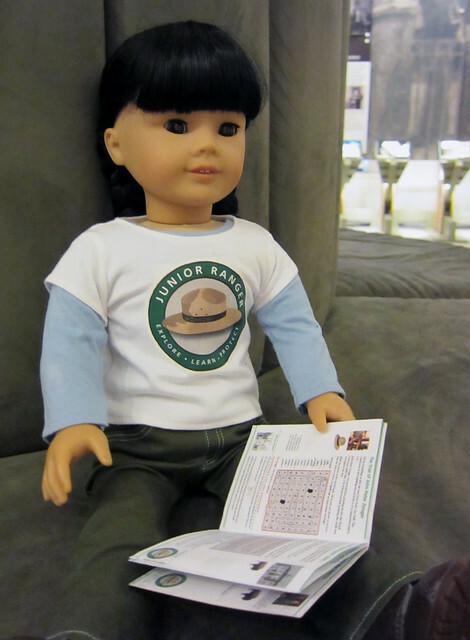 The Junior Park Ranger programme seems really interesting. I'll have to see if there is one near me the next time I'm home in the United States.